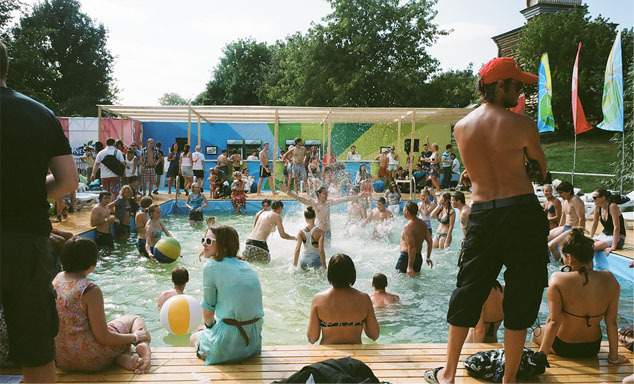 This is another festival you should definitely catch in the summer when you’re in Russia. Just by the name of it, Afisha Picnic, you can already tell that it is held outdoor with nice picnic-y summery feels to it. This event is one of the biggest in Russia and popular internationally too. The highlight of this festival is that it supports independent artists, enterpreneurs, and musicians with a very thick urban-style atmosphere. If you are much into festivals and an enthusiast to experience culture from all over the world, read on. Because we are about to list down all you should know about the Afisha Picnic outdoor festival. The first picnic was organized in 2004 in the Luzhniki Stadium. It was also to celebrate the fifth anniversary of Afisha Magazine who is also the main organizer of the event – hence the name of the festival. This magazine mainly covers culture and music that go into details with a very wide range of readers. There were around ten thousand visitors at that time with performers from UK, Russia, and Ukraine. The second year, in 2005, the venue was moved to Krasnaya Presnya Park with additional ten more thousands of visitors and bands from France, Hungary, and Finland also started to participate. This venue was used also in 2006. Because Afisha Picnic has already become an international event, you can expect more than just Russian performers on the stage. They might started with only local bands and ones from nearby countries, but as the festival grew, they could invite and attract more and more musicians from all over the world to come and play. Some of the well-known headliners that ever participated in the festival are Courtney Love and Hole, blur, Suede, Jamiroquai, Kasabian, The Chemical Brothers, and Lauryn Hill. The festival put up three stages; main stage, summer stage, and air stage with different style of performances. Afisha Picnic is a very family friendly event. They encourage everyone to come and enjoy themselves including teenagers and children. This is why they forbid alcoholic beverages and big dogs into the venue. The whole festival is guaranteed safe and because of that no sponsorships from companies that sell alcohol or tobacco are accepted. There are markets for designers, food court area, sports, and much more. Music has always been a magnet in any festivals, but Afisha Picnic offers more than that. It also provides amusements and entertainments such as open-air cinema, kids’ zone, swimming pool, dancing hall, wifi zone, makeover saloon, photo booths, barbecue quarter, telescopes, and more. For locals who haven’t been travelling far, there are also markets from Asia that offer delicacies, food, and convenience like Thai massage to be tried out. Another great thing about this event is that it also has educational and social purpose. Afisha Picnic has spaces for classes like graffiti, pottery, glass-blowing, yoga, an open-air library, and also lecture halls for culture, history, and more. In 2009 they started to open a Charity Village to raise funds for non-profit organizations like WWF. Also in the same year, there was a lomography exhibition by the International Lomographic Society and kite festival. In 2011, the organizers had to extend the market area to hold more than a hundred shops and labels which mean they also gave more and more opportunities for small businesses to promote themselves and meet a very large potential market just within a day. Despite the very wide area of the venue and so many things to see, experience, and taste, Afisha Picnic only lasts for a day, usually from noon until eleven at night. That is why it’s always nice to come early from the time the event starts. That way, you can browse more stalls, get the first rows in lectures and classes, watch more films and performances, and many more advantages. Also, it is better for you to be prepared for the event. The organizers would usually release the lineup, list of markets, amusements, and schedule of classes a few months before the festival together with the tickets sales. So take notes of what you want to see and visit, prepare things you need to bring to the festival like swimming suits, change clothes and whatnot. Don’t worry about getting tired going around the venue and missing attractions, because there will be bikes and scooters for rent so you can save a lot of time. But if you are in no hurry and taking things easy with everything that’s going on in the festival, then walking is always the best option. You can enjoy the scenery and stroll along the lake especially during the sunset. It will be so beautiful and you can take a lot of pictures too while you are at it. Afisha Picnic is sponsored by big brands like Coca Cola, Nestea, Sony Play Station,Nintendo, HP, and more. The scale of the crowd and enthusiasm is so massive that the festival is considered alike to Glastonbury Festival. Foreign media also notice and cover the event every year. That was all you should know about the Afisha Picnic outdoor festival. They may help to give you an insight to what the event is all about or perhaps as a little guide if you plan to go this year.